These are a few of our favorite things! 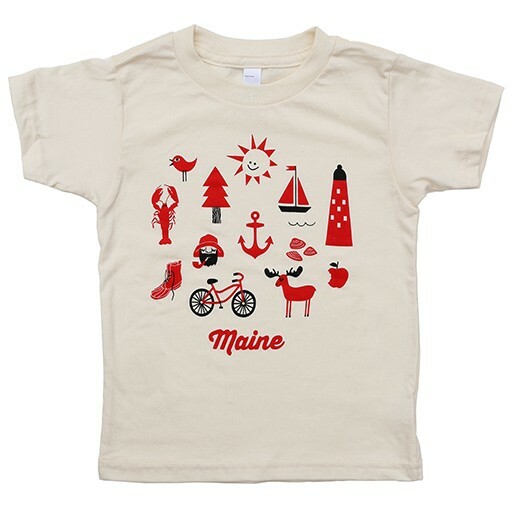 This super soft kid’s tee by Pinecone + Chickadee features a roundup of Maine’s most iconic specialties. 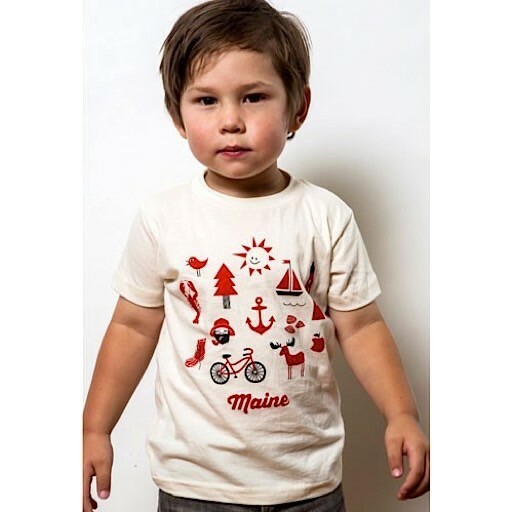 100% organic cotton with earth-friendly inks. 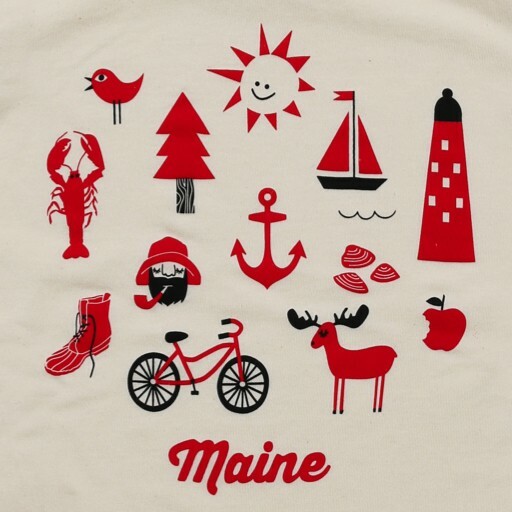 Printed by hand in Portland, Maine.